Dead Gowns is a newer project from Portland ME. After collecting themselves in the winter of 2017, Dead Gowns released their first EP this past July. Pulling on folk, garage and soft rock tendencies, it's music in the raw & tender. Kate Mick is a Rhode Island musician who has played most venues in the state within the past two years and is now making her way throughout New England. 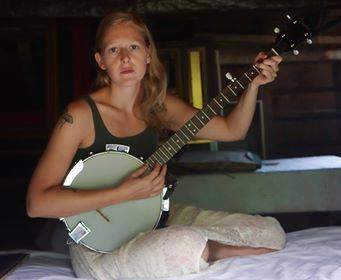 Her 2016 album "Undertow" debuts her original banjo songs with dark lyrics and memorable vocals.